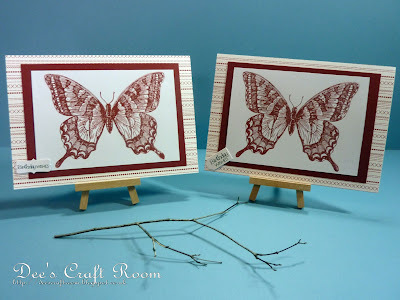 Regular visitors to this place will know that my friend and DT team mate Lisette, aka Mrs Beez, has decided that for a month all of her projects will feature a butterfly. 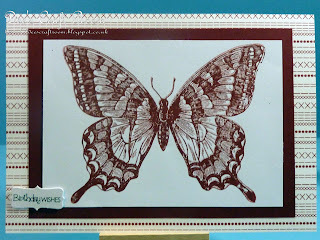 This is to show support for the charity Amy and Friends and the work they do to support children suffering from Cockayne Syndrome. 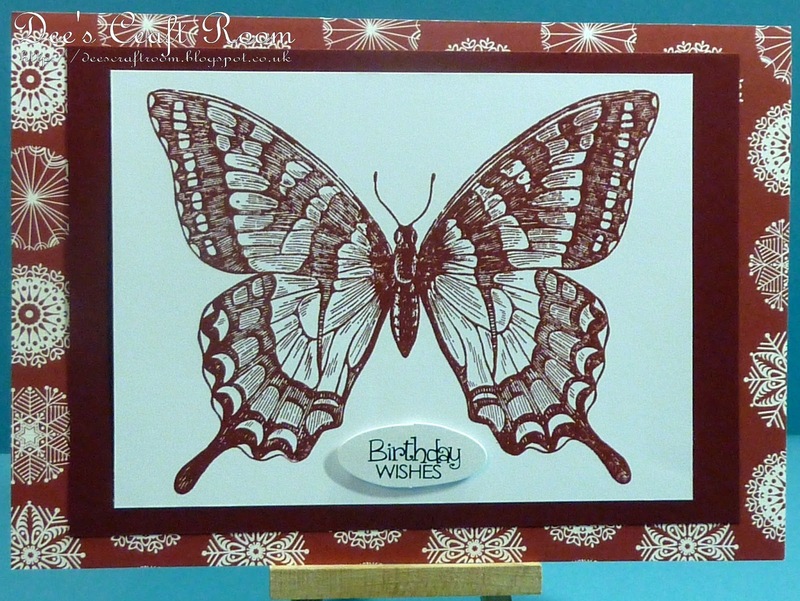 Amy and Friends adopted the butterfly to represent those whose lives have been cut short by this terrible illness. 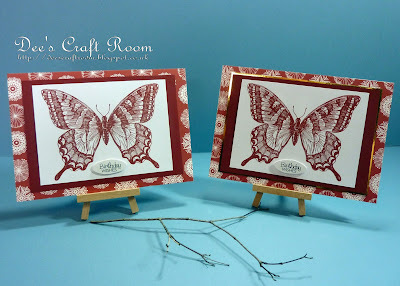 I was so thrilled when Lisette asked me to be a guest on her blog during this time and I instantly started crafting cards with butterflies on them. 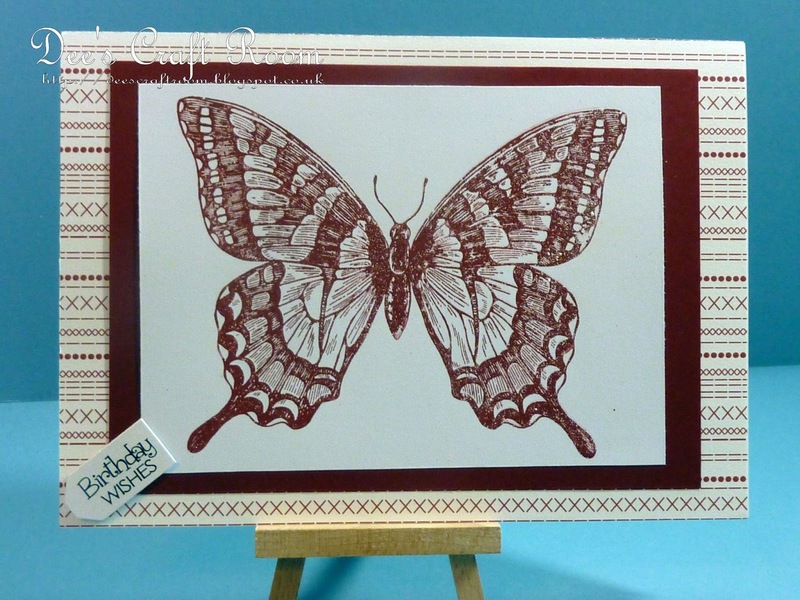 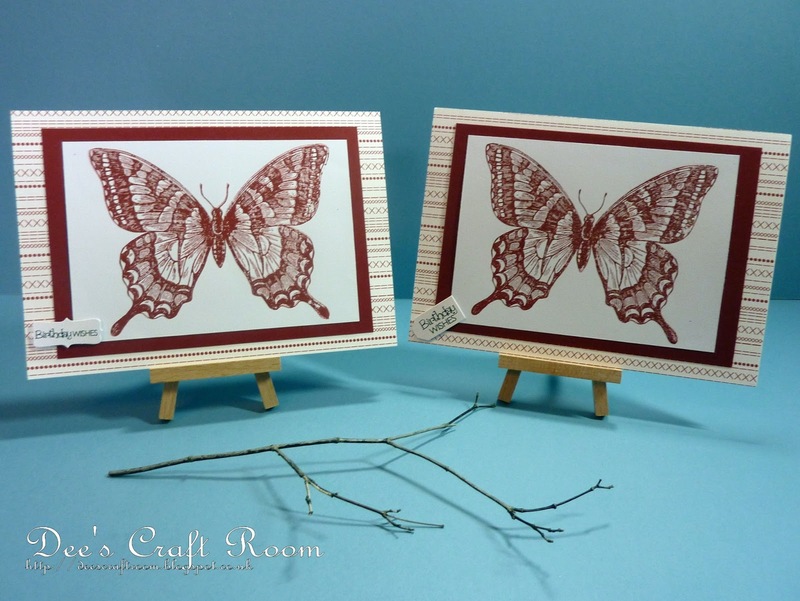 I am back today to share four very similar cards with you, they all feature the gorgeous Stampin' Up Swallowtail Butterfly stamp. I used Cherry Cobbler to stamp the swallowstail and mounted it on the colour toned card and a similar coloured patterned paper from my stash. 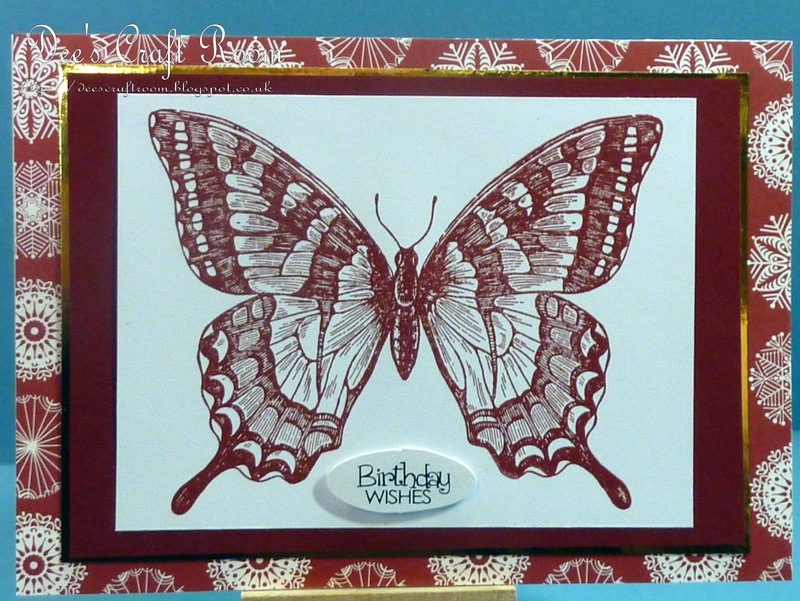 The sentiments are from Craftwork Cards. 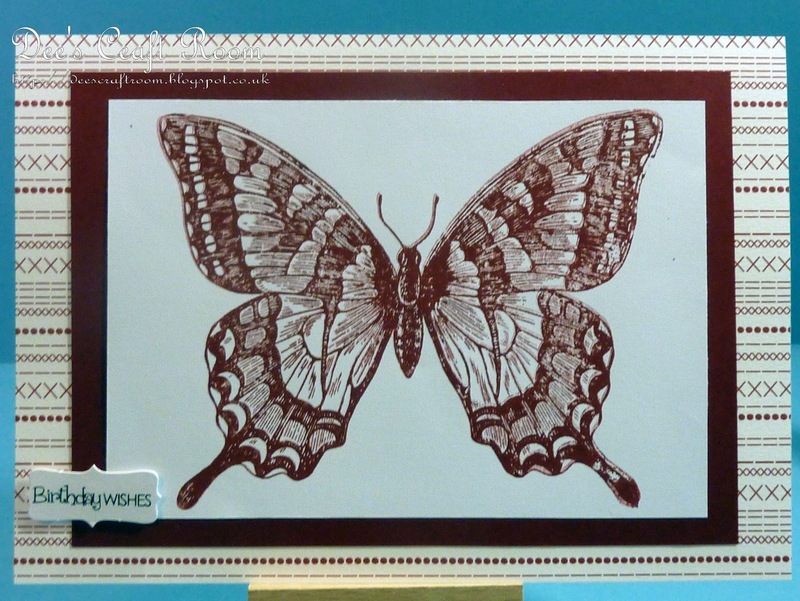 This butterfly stamp is really something! 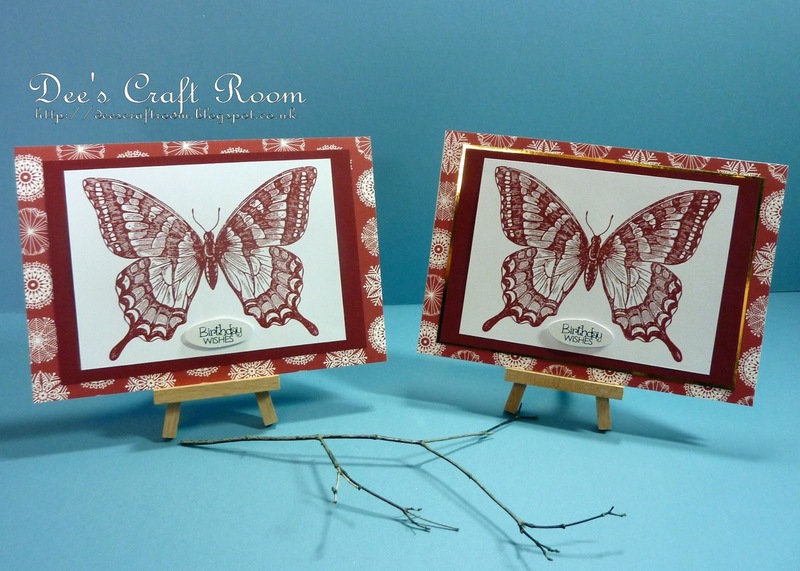 Makes such a brilliant focal point! 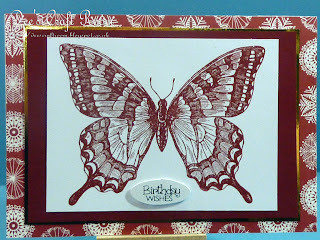 Love the backing papers you used as well... they go so well with the stamp!